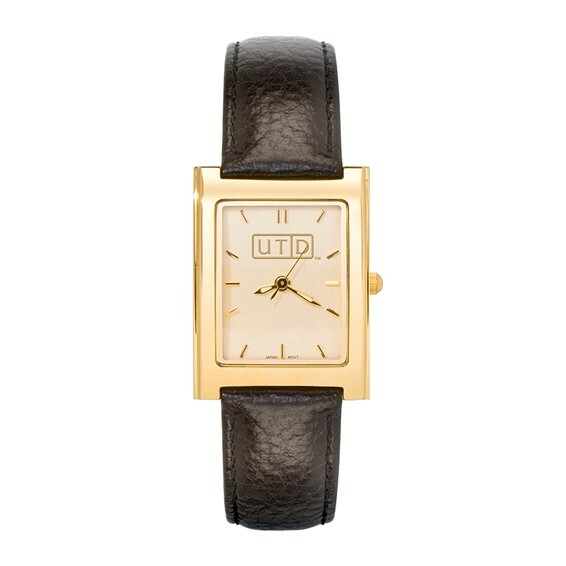 This ladies' University of Texas at Dallas rectangular dress watch is water resistant. This watch comes with a gold plated stainless steel case and stainless steel back. Features a padded black leather strap with stainless steel buckle. This watch contains Miyota quartz movement and comes with a two year warranty on the watch battery. Packaged in a flat velour gift box.